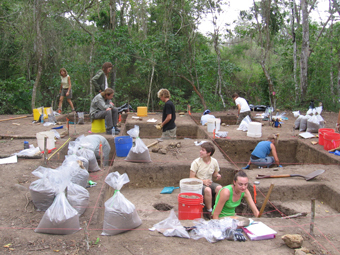 The Florida Atlantic University archaeological field program is in its ninth year of operation. 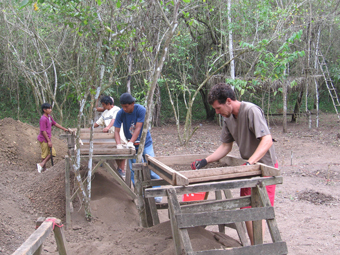 Unique to our program is its explicit attention to the goal of creating field archaeologists. Further, our program incorporates a multinational and multidisciplinary team of investigators. The program is oriented towards providing intensive and comprehensive training in archaeological field methods and interpretation. Students gain hands-on experience in excavation, survey, data recording, laboratory procedures, and report writing. We have accepted and trained students from accredited colleges and universities in the United States, South America, and Europe, many of whom go on to graduate work at the master's and doctoral levels. The academic purpose of the program is to train graduate and undergraduate students in archaeological field and laboratory methods. Besides excavation and survey training, the program includes weekly lectures that focus on the process and theory of archaeological research and the prehistory of coastal Ecuador. Lectures are given by Field School instructors and guest scientists, both local and foreign. The instructor-student ratio in the field is 1:5. The program may be of special interest not only to Anthropology majors but also to Geology, Geography, or Environmental Studies students, as part of training includes topics related to the dynamics associated with long-term human use of environments and the creation of landscapes. 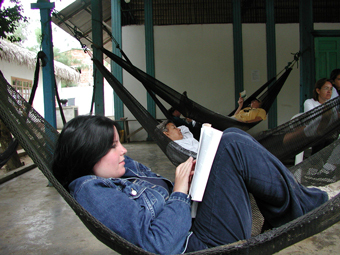 The program satisfies some course requirements in FAU’s Department of Anthropology. The course is entitled, “Field Methods in Archaeology,” ANT 4824, and is offered for 3-6 credit hours. Non-FAU students are encouraged to apply and usually constitute about one-half of field school participants. Early application is encouraged as enrollment is limited to 20 students. The program is a joint effort between Florida Atlantic University’s Department of Anthropology and the following Ecuadorian institutions: the Comuna Salango and the Salango Research Center. 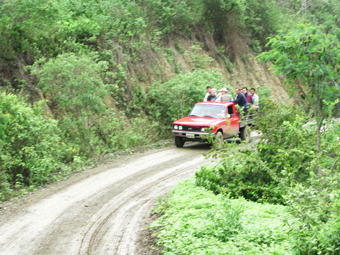 The Salango Research Center is the field school’s base of operation. Founded by Presley Norton in the 1970s, the Center is currently administered by the indigenous people of the village, organized in a communal landholding entity known as the Comuna Salango. The Salango Research Center houses an archaeological museum that attracts international visitors and is also open to the public. 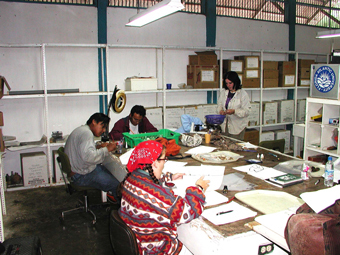 The Center has laboratories and facilities for international researchers and houses one of the most extensive faunal collection in South America. In order to strengthen the infrastructure of the Center, FAU is committed to delivering a variety of equipment for use by the Center, such as microscopes, computers, scales, and field equipment. Florida Atlantic University is further committed to updating the Center’s comparative faunal, ceramic and shell collections, and library materials. 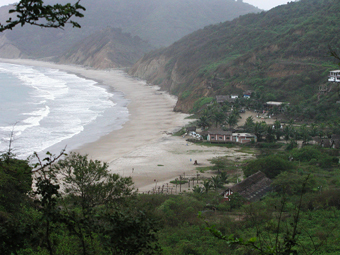 The Field School’s area of interest is the southern Manabi Province, Ecuador. During the late Pleistocene and early to middle Holocene eras, the Pacific coast of this province was part of a large tropical forest spreading from the eastern flank of the Andes Mountains down to the coastal plain. The region is characterized by bays, alluvial valleys, and mountains. The major alluvial valleys of the region have been previously surveyed (Damp 1984; Smith 1985; Stahl 1991). Results show a continuous occupation. About 5,000 years ago there were permanent settlements based on a mixed economy (horticulture, fishing, and hunting). Over time, agricultural communities with a significant long distance coastal trade network emerged. By the time of the Spanish arrival, ranked societies with very complex socio-political organizations were in existence (Norton 1986). The goal for Florida Atlantic University’s program is to reconstruct the prehistory and paleoecology of the region. 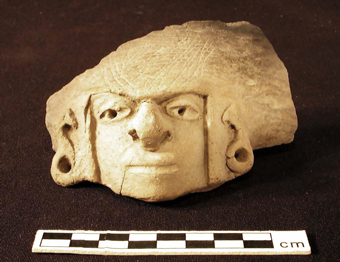 Investigations focus on the systematic survey of alluvial valleys and on the excavation of a coastal sites with cultural components from Valdivia (3500 B.C.E.) until the contact period. The goals for this field season are to continue investigations that include survey and excavations of various sites located in the region. In previous years, excavations concentrated at the Rio Chico coastal site. The site has provided a great deal of information on the Manteno period (A.D. 500-1500). We believe that the site was a specialized “factory” dedicated to the accumulation and processing of Spondylus shells to be later distributed to other centers of manufacture. 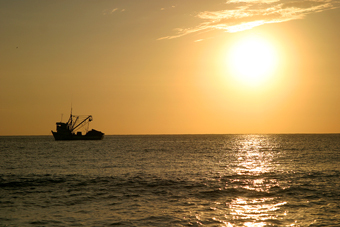 This site is providing much information, not only on economic and social aspects of shell production, but also on the nature of the trading relationship between coastal Ecuador and the north coast of Peru. 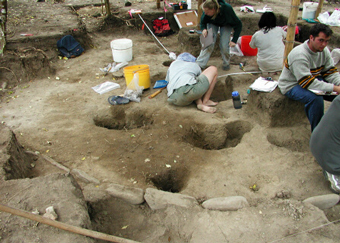 Since 2004, the Field Program has focused on inland site excavations and surveys to unravel the prehistoric interrelationship between coastal and inland groups. 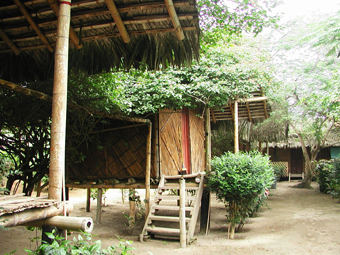 Students live in a research center located in the village of Salango. The village has a few small stores and restaurants, a church, and bars. The research center is a walled compound located on the beach. Students are housed in the Center's cabanas. Adjacent to the beach and ten minutes from the Field School’s primary excavation site, the Center is a walled, secure compound. The Salango Research Center is an excellent site for lodging students, as well as processing and curating archaeological materials. The Center has computer facilities, an excellent, small archaeological museum, modern kitchen, showers (no hot water), and toilets. Breakfast and dinner are prepared at the Center by project cooks. Students make their own sandwiches for lunch. The cost is $3,522.00. Early applications are encouraged to guarantee a spot in the Field School. Students will be informed of their acceptance by phone or letter. Space is limited to 20 students per term. Please contact: Valentina Martinez, vmartine@fau.edu, 561-297-0991 or Dr. Michael Harris, mharris@fau.edu, or 561- 297-3230 (Office); (561) 297-0084 (Fax). Our address is: Department of Anthropology, Florida Atlantic University, 777 Glades Rd, Room 171, Boca Raton, FL 33431. Term 3: Students arrive at the city of Guayaquil on June 24th. Departure to the Salango Research Center is June 25th, during the morning hours. A bus will transport students and staff to and from the Salango Research Center at the beginning and end of the trip. Several archaeological sites around the area can be visited should students be interested: Valdivia, San Pedro, Real Alto, Agua Blanca, and Vegas. Other weekends, students can tour coastal Ecuador and the highlands. Coastal Ecuador offers different areas and activities of interest, such as the Machalilla Tropical Forest Park, surfing, fishing communities that use ancient technologies, and whale watching by boat.